Asbestos – the commercial investor’s P – but worse? That’s what some owners are being told. It’s not the case. Understanding and proper management of the ‘asbestos issue’ is the key. Residential investors who’ve had a property ‘contaminated’ by P (and that’s an inexact science if ever there was one) have been able to de-contaminate. End of story. 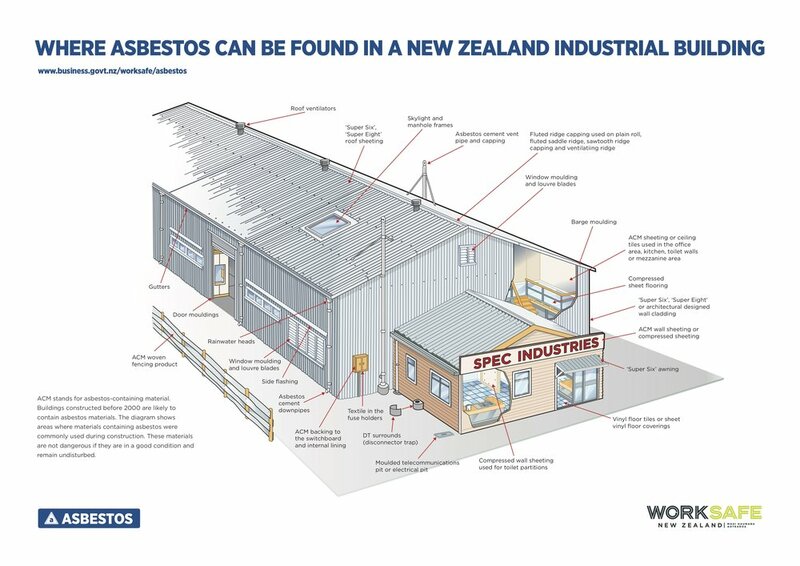 The key difference for commercial investors (excluding properties constructed post-2000) is that asbestos is with you forever. It will forever be an aspect of your property management, from April 4th 2018. But it is not the nightmare some are suggesting. If there is any good advice around, it would be take action now. Baden-Powell had this legislation in mind when he famously said “be prepared”. A tip we’d give you is to go online and read the Health and Safety at Work (Asbestos) Regulations 2016. An understanding of what/why may be invaluable. There are two forms of asbestos: Non-friable – material containing asbestos fibres reinforced with a bonding compound i.e. super-six/ cladding/partitions/floor tiles etc. This will potentially cause few ‘problems’. Removal of non-friable asbestos of less than 10m2 may be done responsibly by non-licensed persons. It’s very manageable. Friable is the ‘nasty’. Defined as ‘powder or able to be crumbled or reduced to powder by hand pressure when dry’. What the law requires you to do by April 2018: Have all asbestos identified in your building (if pre-2000); analyse it’s condition; develop a management plan. That’s it in a nutshell – of course there is ‘extra stuff’ about having your management plan available for anyone (principally tradesmen) visiting your property – but licensed experts will take you through the fine detail. Key feature? From 04 April 2018 when any refurbishment or demolition is proposed asbestos must firstly be removed by a licensed asbestos remover.